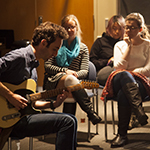 The Clarice is dedicated to providing students with meaningful outlets for creative expression. 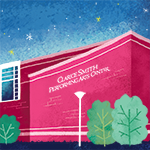 Here are some of the many opportunities available to get you involved at The Clarice and beyond! 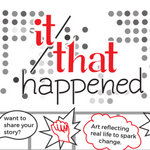 It/That Happened is a program designed to expand UMD students’ capacity for dialogue, inquiry, reflection and action about critical issues facing their campus and broader community. Learn more about this program & share your story! 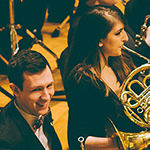 UMD students can get free tickets to all our events, all year long — just sign up for Free UMD Student Tickets! Get up close and personal with performing artists from around the world. Learn more about masterclasses and workshops. 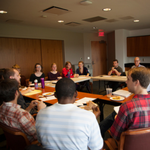 Provide feedback about the Clarice experience, budget, policy and student outreach by getting involved with Maryland Students for the Arts. 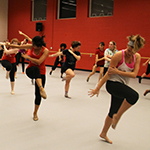 Learn more about ensemble and audition opportunities in the UMD School of Music and the UMD School of Theatre, Dance, and Performance Studies. There are so many organizations on campus for you to get involved with. Here are just a few of them. Join Team Clarice! We have employment opportunities available to students in Guest Experience, Production and Artist Services. To view available Guest Experience and Campus and Community Engagement employment opportunities, visit our Employment page. For all other employment opportunities, contact Bill Brandwein at billb@umd.edu.